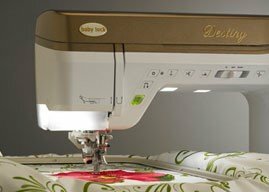 It’s time to see the latest sewing and embroidery innovations in action on the Baby Lock Destiny. 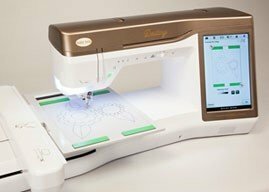 With a large, 10.1” high-definition LCD screen, your stitches, designs and settings are bigger and bolder than ever before. 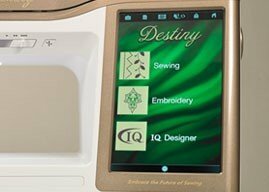 Plus with the new IQ Designer, you have complete control over your embroidery projects. 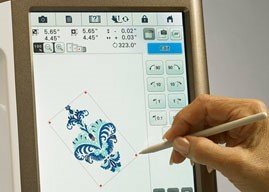 Draw on screen, scan in, or import your own artwork and the Destiny will digitize it before your eyes. 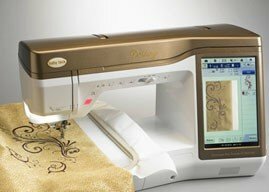 Using the IQ Designer, you can then edit your new embroidery designs down to the stitch. 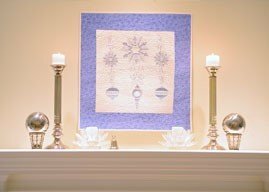 If you’re finishing a quilt, use the auto-stippling feature to draw and choose exactly where your stippling will go. Enhanced Stadium Lighting surrounds the needle with up to 10 inches of powerful LED light. You’ll see every detail in your project. 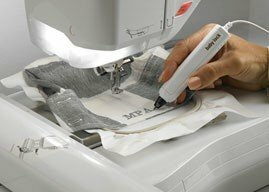 You can also change the settings to mimic natural lighting if you’re stitching something for outside. Editing is easy with the Destiny. Resize up to 200% or down to 60% of the original design. 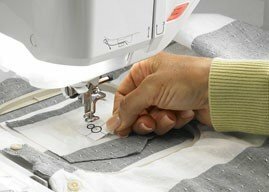 Your density is automatically recalculated to ensure a flawless stitch out. 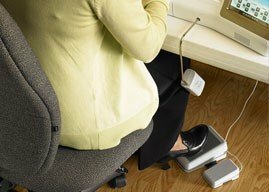 The Destiny’s processor is two times faster so every change is made instantly.